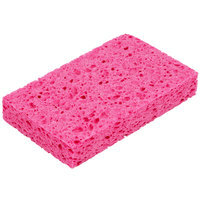 Scouring pads, sponges, scrubbers, disinfecting wipes, and food service wipers keep both your food service operation and your cooking supplies clean and sanitary. 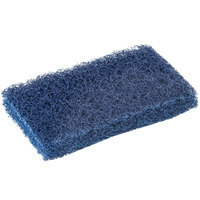 Use kitchen scrubbers to wash dishes by hand or to wipe down your work tables and cooking equipment. 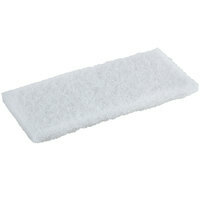 Our souring pads simplify your job when you need to clean lots of tough grease off your pans or burners. 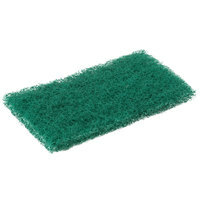 Good - This Royal Paper S960 9" x 6" dark green scouring pad will easily remove grease and dried-in food residue from pots and pans, as well as corners and hard-to-reach places with its flexible design. 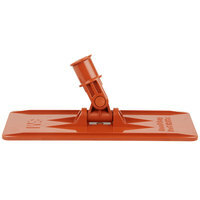 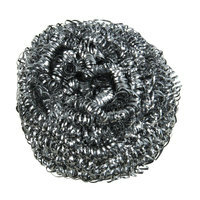 Perfect for medium-duty cleaning jobs, its tough fibers and abrasives offer an effective option for multi-purpose use. 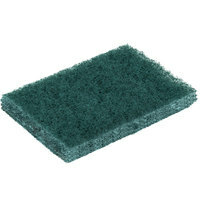 Better - This 3M 96CC Scotch-Brite™ 9" x 6" general purpose green scouring pad provides a non-rusting, resilient option that can replace your operation's steel wool and metal sponges for a safer and more effective way to clean cooking utensils and equipment. 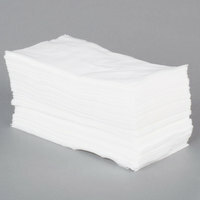 It scours up to 3x faster and lasts 3x longer than comparable pads, making it a better option for medium-duty, multi-purpose use. 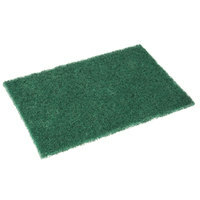 Better - This 3M 86CC Scotch-Brite™ 9" x 6" heavy-duty green scouring pad is guaranteed to stand tough against a variety of heavy-duty cleaning jobs. 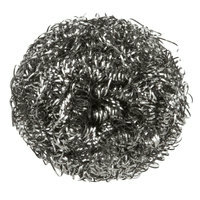 Featuring durable, synthetic fibers that are crimped and heat set to create a strong web that will help it tolerate frequent use, it can be used as an effective alternative for scrapers, steel wool, and metal sponges. 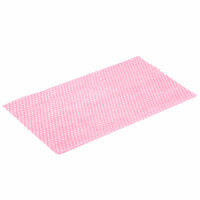 Plus, its certified food safe making it a better heavy-duty option for your cleaning needs. 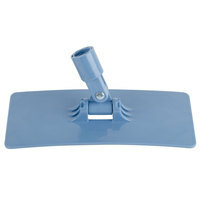 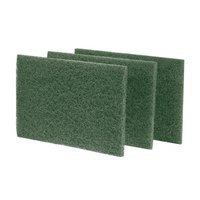 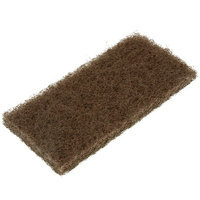 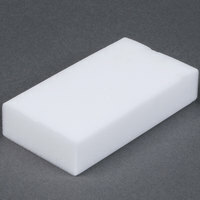 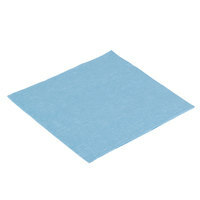 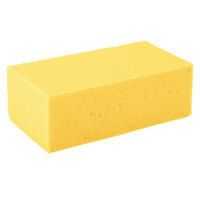 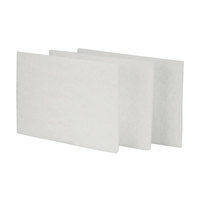 Good - This Royal Paper S740 6" x 3 1/2" sponge with green scrubber is a good option for all purpose cleaning. 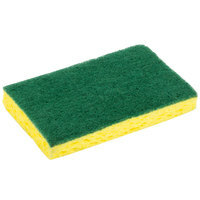 With a synthetic sponge on one side and a green scrubbing surface on the other, it offers exceptional versatility and can be used for removing grease and food stains, counter tops, walls, and hard-to-reach areas. 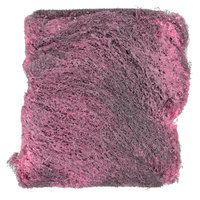 Better - This 3M 74CC Scotch-Brite™ 6 1/8" x 3 5/8" medium-duty scrub sponge is a dual-action cleaning tool, featuring a green Scotch-Brite™ 96 scouring pad on one side that easily scours heavy grime off of various kitchen equipment, as well as a yellow cellulose sponge on the other that quickly wipes up spills and messes. 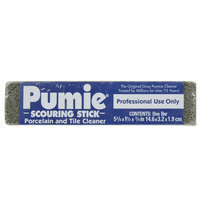 Long-lasting, this is great option for your all purpose cleaning needs. 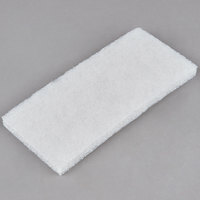 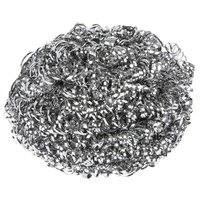 Good - This Scrubble by ACS 98-604TSH light-duty white scouring pad is made of soft non-woven and nylon web fibers, along with mild abrasives. 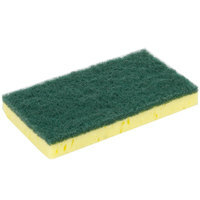 It provides a thorough cleaning, without scratching or dulling your surfaces, making it a good option for light-duty cleaning. 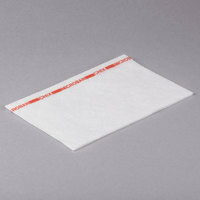 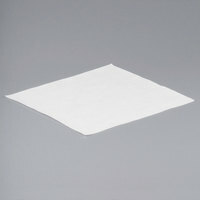 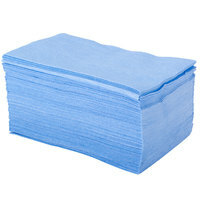 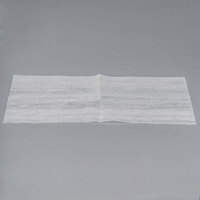 Better - This 3M 98 Scotch-Brite™ 9" x 6" cleansing pad is made of soft, non-woven fibers that combine with mineral particles for effective cleansing. 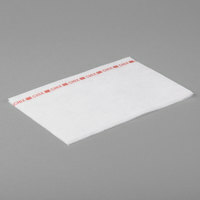 It is specially designed for the light-duty cleansing of stainless steel, chrome, copper, porcelain, and ceramic and is food safe certified, making it a better option for your light-duty cleaning needs.